Eli Rosenberg reports from Waltham on the latest information regarding an apparent oil spill into the Charles River. 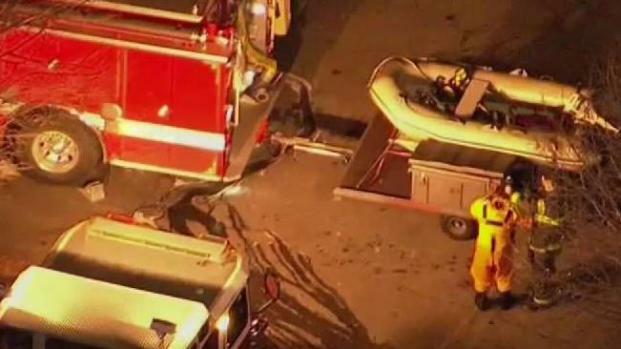 Hazmat crews responded to a fuel spill in Waltham, Massachusetts on Wednesday night. The source of the spill, which has been leaking into the Charles River, remains unknown. Waltham firefighters first responded to the scene shortly after 4:30 p.m. on River Street behind the Shaw's Supermarket in town. Massachusetts State Police are assisting with the search for where the spill originated. The Department of Environmental Protection is also on the scene. 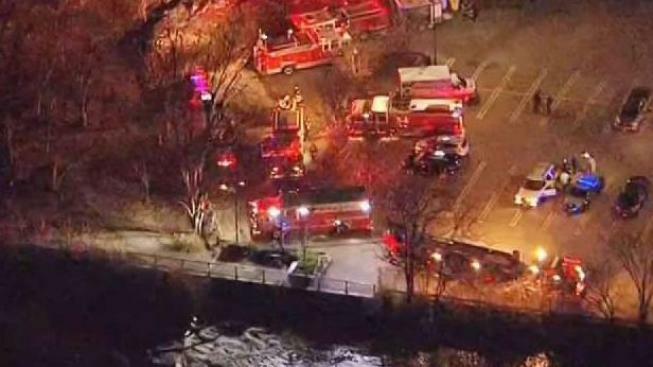 Eli Rosenberg reports from Waltham, where hazmat crews are responding to a spill into the Charles River. The Chief of the Waltham Fire Department said no one has any idea how much oil has spilled, nor for how long the spill has been ongoing; the good news, however, is that the department has been able to stop the oil from spreading. Tonight, heavy machinery has been brought in to start the clean-up process, while emergency crews are expected to arrive on the scene on Thursday to help determine the source of the spill once and for all.